The Luzerne County Animal Response Team is looking to prepare our community for emergencies involving large animals such as horses, cows, pigs and sheep. 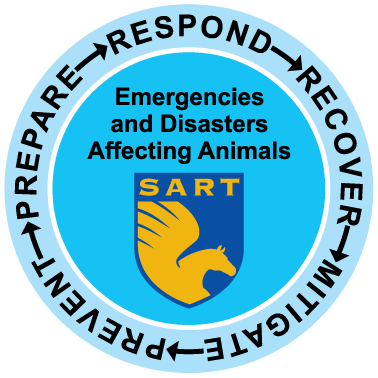 Members of our team have taken Large Animal Rescue Training and are looking to add some of the necessary large animal rescue equipment to our available resources. One of the most important tools is a device called the Becker Sling. The Becker Sling is designed to help extract animals that have fallen into holes or ditches, as well as pools or any other circumstance requiring an extra effort to lift them back to safety. Large Animal Rescue Training Class at Penn State College of Agricultural Sciences. Photo courtesy of Davis Hill & Penn State College of Agricultural Sciences. 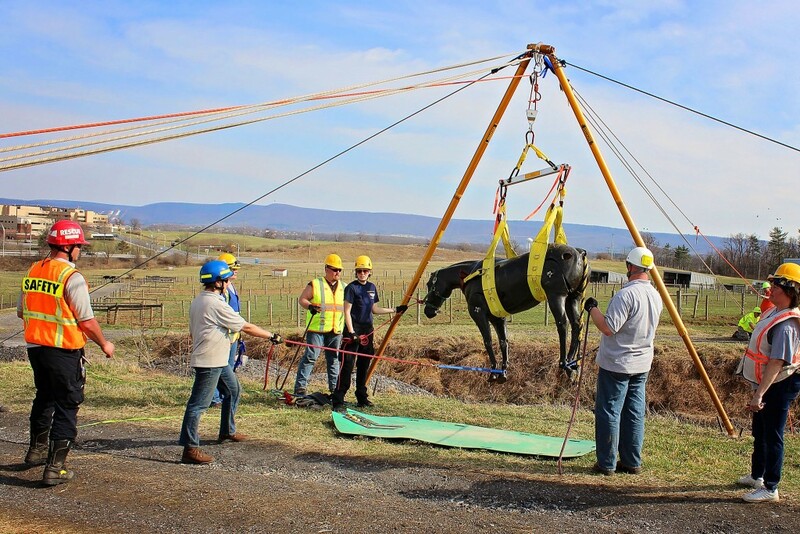 Another component to the large animal rescue equipment is a Large Animal Rescue Glide. This glide is used to help move an animals from wherever they are stuck or have fallen to a safer location. Below is an image of what the glide looks like and you can also see it in the above image as well. Below you will find information on how you can donate to help us purchase these amazing tools. We cannot do this without your help, please donate. Monetary Donations can be made directly to the address below, or you may contact us for more information. Donations are tax deductible. PASART is a private, 501(c)(3) non-profit corporation and all donations are tax deductible. On the Review Your Donation page, please click the link “Enter any donation restrictions below:” and then enter Luzerne County Animal Response Team or LuzerneCART in the box. Then click the Donate Now button at the bottom of the page.